A series of messages in bottles released into the Sea around the world. We went for a paddle in the harbor from Red Hook. Low water at the Battery was at 11:30. 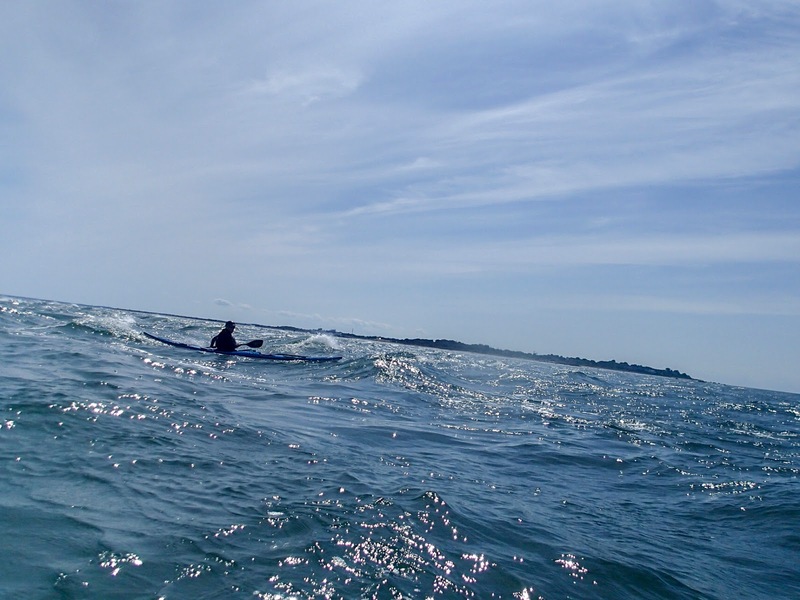 We launched about 10:00AM into a strong Ebb, and paddled against it up to Castle Clinton to see if there was any tide race waves to play in. There were just a few small ones because the tide was on neaps and the wind was not against it, so after a bit of surfing we peeled off for a trip south. We want to the very fancy golf course in Bayone. Its private members only and the emphasize its accessible by private boat or helicopter. They don't quote the price, but the Internet has it as $150,000 initiation fee and $18,000 a year. Its probably $200 a round as well so a bit rich for my blood. But I guess that's a deal since this article has Liberty National Course Initiation fee at $450,000, and a wait list! 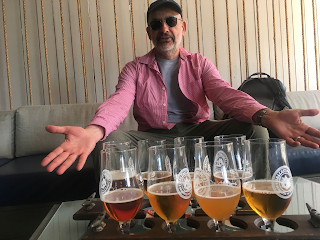 Since we were on the golf course I had a shot with lunch! 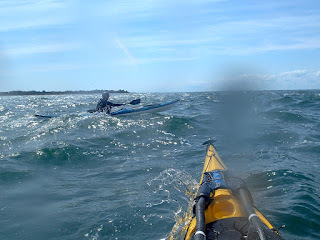 The wind really picked-up like 15 knots from East so the initial part of the ride home was a real slog, but eventually we got out in the current. We heard on the radio that two barges had come loose and we watched the Army Corps of Engineers boat go out and collect them and pull them in toward Red Hook. The mooring ball was still on the bow of one of them, so the Anchor cable must have just broken off. Truth: The Rich get Richer. 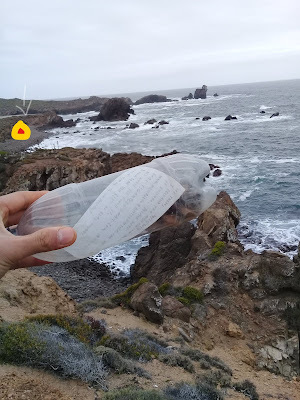 I released this message near the little town of La Bufadora 20 miles south of Ensenada Mexico. I was with the folks who run the Baja Kayak Fest. This is my second year going back here, and its absolutely the best rock gardening location I have ever been to. 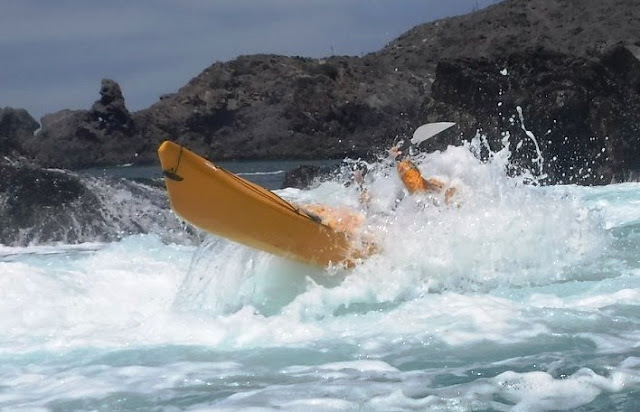 I capsized almost every day, my bracing is not what it should be, it all seems to be going fine, and then I'm drinking saltwater and looking to roll back up hoping I don't smash my head. Because its so deep it is not all that dangerous, most of the locations that they let us go in would flush us somewhere safe if we wet exited. We saw all kinds of conditions from cold rain the first day to hot sun by the end of the week. 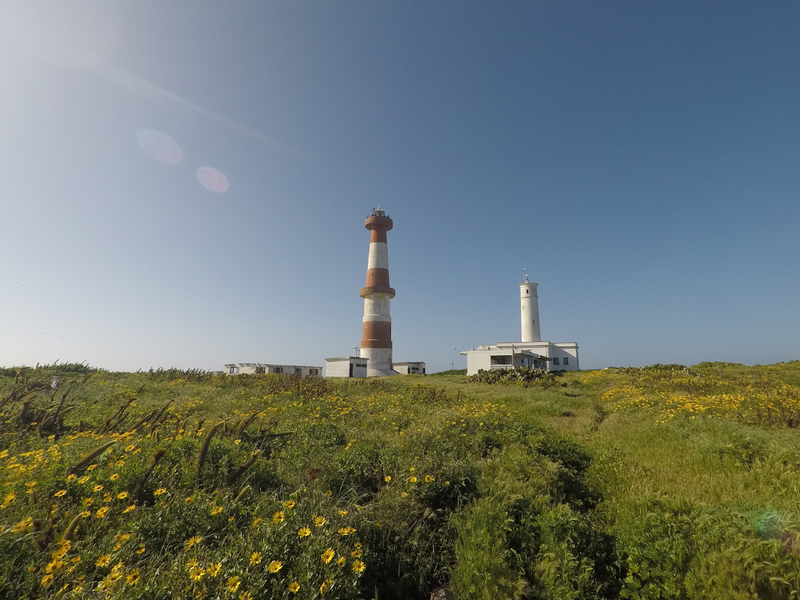 A highlight of a visit here is a trip out to the lighthouse on Todos Los Santos island and that is where I let the bottle go. 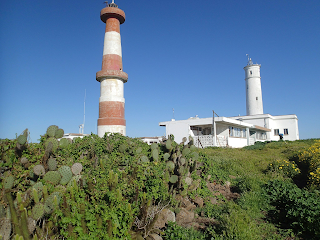 I slept in the top of the red and white lighthouse. Its always a little chilly, but the views are amazing. 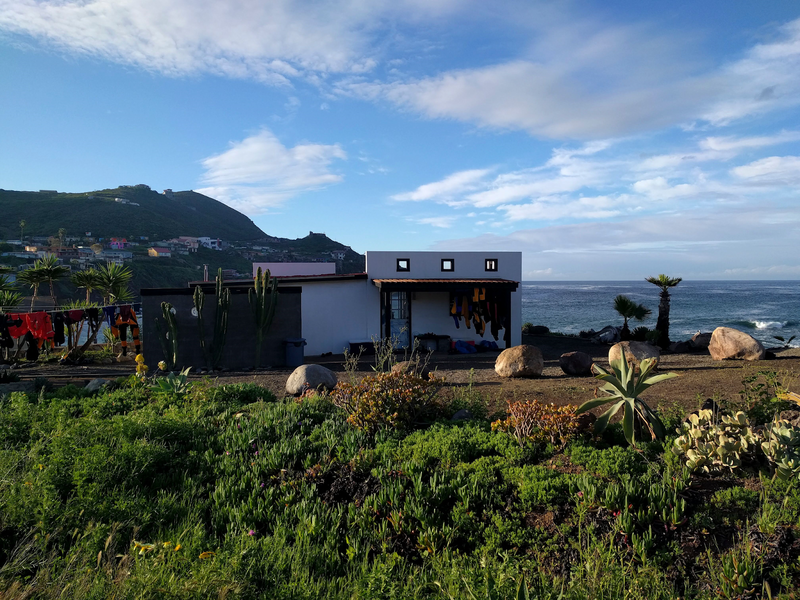 The Island was full of lush plants and flowers because it had recently rained a lot, but the locals said that might be it for rain for 9 months. Last year everything was brown and dried. This is an old-school light but still works. 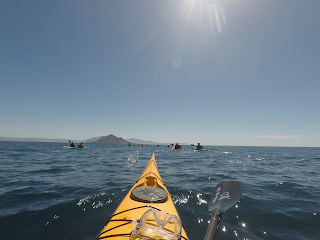 Dropped the bottle out near Todos los Santos Mainland in distance. On the day we paddled out to the Island there was huge 12 foot swells. I needed a shave by the end.. I saw dolphins and whales in front of me on the faces of the waves, and one point a gray whale went under another paddler, and because of the swell it was like seeing it on a movie screen directly in front of me. 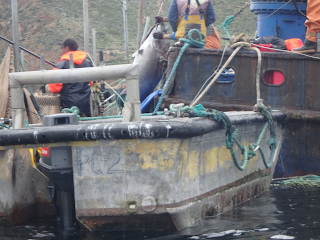 The locals net Bluefin Tuna alive, and then put them in huge free floating pens to fatten them up. One day we paddled over near the pens and we watched as the divers and fishermen wrestled the fish up the side of the boat for slaughter, it was sad but really dramatic. Two men get in the pen with them, one grabs the tail the other puts a huge hook through the gills and they drag them aboard and kill them. The fish are huge and must weight 300 pounds or more and are all muscle. We were told that they must be killed and gutted in 2 minutes, all the dudes were covered in blood. 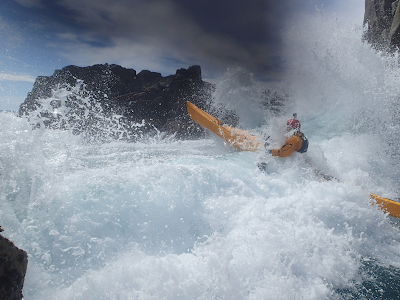 The most dramatic paddling was at the location called the "Slot of Boom". This is a very long rock slot facing the sea. The swell was too big to safely go all the way through but we could paddle into it to play and then feel the rush of huge waves rolling down the slot that would flush us back out. As usual I capsized at one point, but fortunately I made my roll to get back up. From this picture I can't tell if Im on my over or way back up! Its always worth going back to a beautiful place. Super Bowl Sunday in the woods. 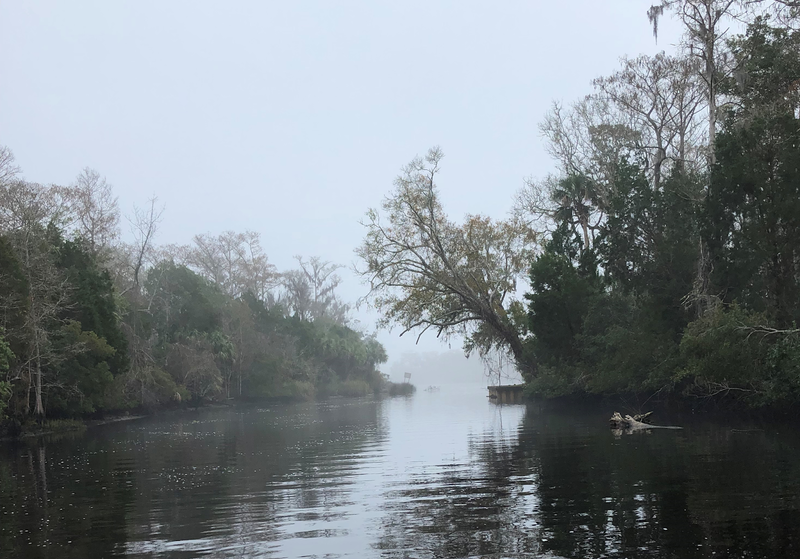 A foggy morning boat ride out. We had really great weather. Another group who got out to the area before us shot a large hog. I saw a mother with some little piglets but decided the little guys needed their moma they were pretty small. I watched them for a long time but at some point they must have smelled me or a made a tiny sound and they ran away. I wore gloves to protect my hands, but still got Poison ivy or something all over my wrists so I have to wear longer gloves in the future. We did make a treasure map and bury the head of the hog the other guys shot. We stayed a very fancy condo. 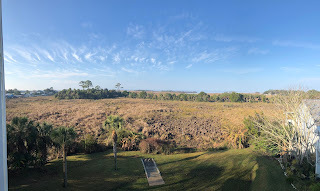 We were tempted to try hunting from the balcony since it looked out on the swamp. 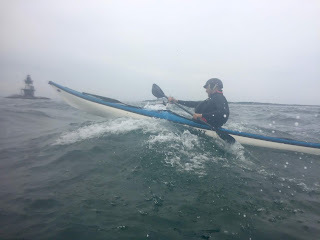 We spent several days paddling in CT and RI. We stayed in a great house in Stonington. 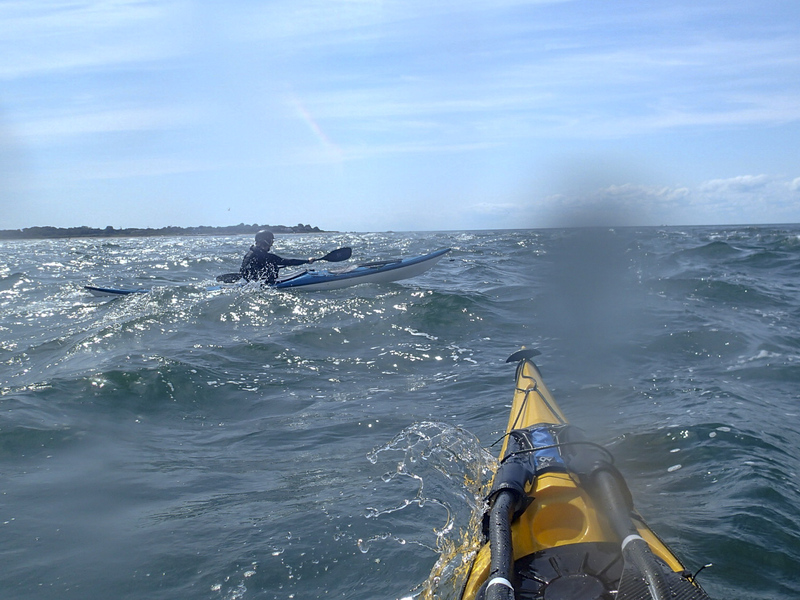 We had hoped to paddle over from Orient Point, but it was too windy to do the crossing so we drove up. We got a super early start, met for the boats at 5:30 and were at the house by Lunch time, plenty of time for a paddle, but not a paddle AND a nap. On Friday night we hit the Holly Ghost Society for the Fish Fry and wasted money on the lottery game. 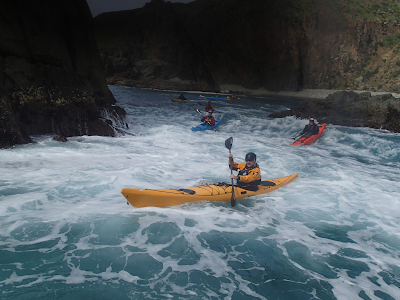 We went to Ram Island reef to paddle in the tide race created by the flood tide and the West wind. We put in at Esker Point beach. The race was pretty good, and we all did a bit of surfing. We stopped to rest on Ram Island and met a VERY friendly doggy, who loved to have her belly rubbed. 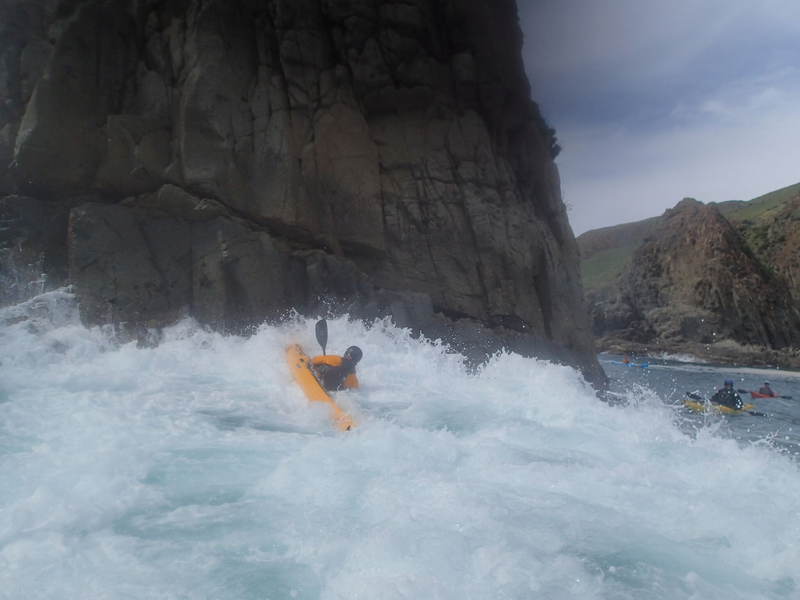 The next day we paddled out to Latimer Light for more tide race surfing on the Ebb in a very strong East wind. The waves were big, but I was intimidated by the really strong wind so I didnt stay out very long and went right back after a tough slog out there. The house was great and we had a big feast one night. 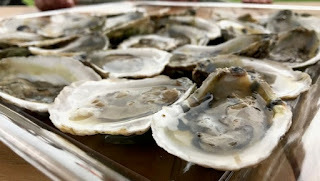 Local Oysters, and a mixed grill. On the third day we drove up to Jamestown RI to paddle along Beavertail. This where I released the bottle. We put in at very pretty cove near Fort Wetherhill State park, and paddled along the coast to the Beavertail lighthouse. The hope was to play in the rocks, but there was very little swell and I was afraid of tearing up my boat after recently having it repaired. 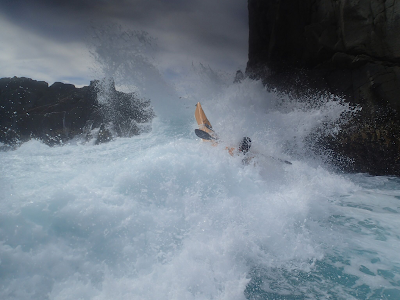 Eventually I took off my helmet to wear a warm hat, then foolishly got in a little cove in the rocks and promptly got rolled by big wave and my head was dragged across the rocks underwater. Fortunately I rolled up and got out of there and wasn't hurt, but it was a good lesson about keeping the helmet on. I did find a really great fishing buoy for my collection. I only hope I can keep it. 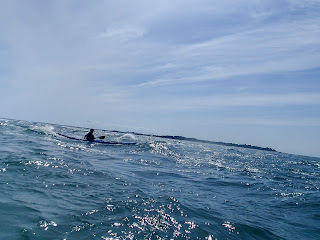 On the last day we paddled out of Esker Point again, but there was no wind at all and none of the tide races were working. 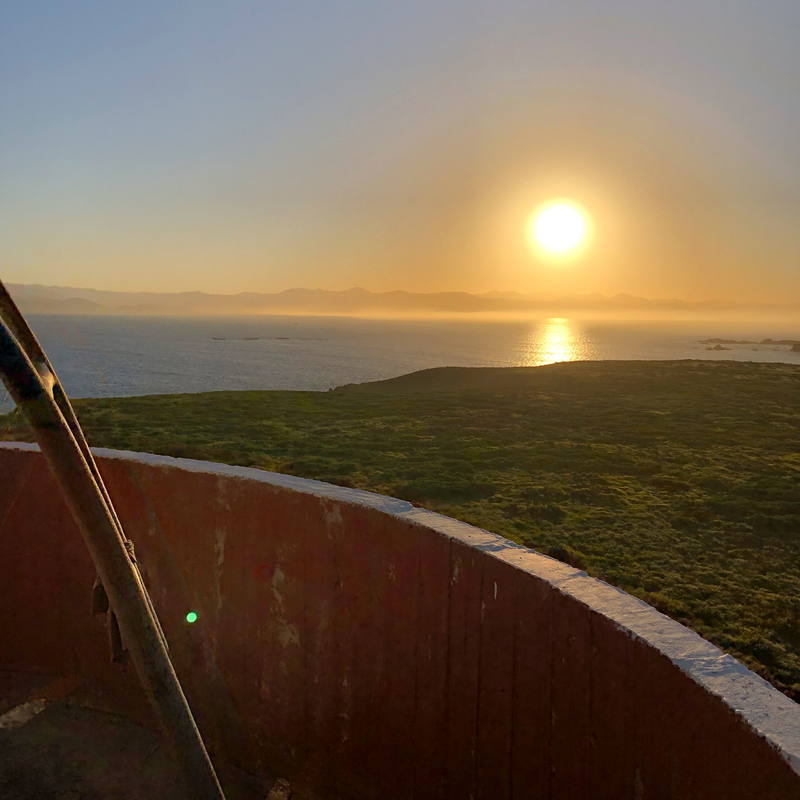 We paddled out to South Dumpling Island and got a history lesson on the Island from the caretaker who lives there to look after it for the wealthy owner. He told us some great stories about the incredible storms that he has had in the winter. We then went over to Ford's restaurant for a great Lobster lunch. 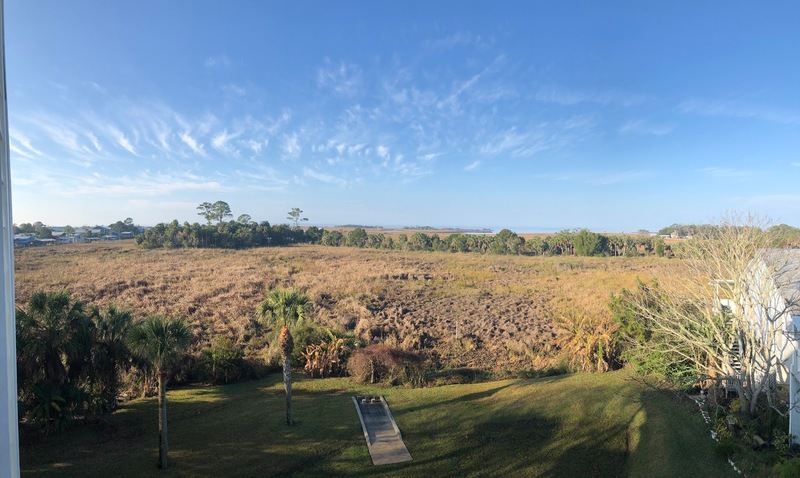 I was in Florida on a hunting trip. The weather was actually too warm for comfortable hunting. It was in the 80s during the day, and slogging through the bushes in thick clothes was uncomfortable. 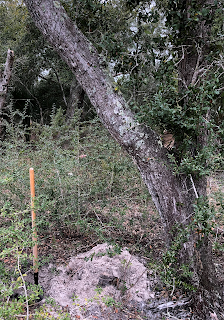 We did see a few hogs, but they were all too small. 20-30 pounds. and on the last day a squadron of little tiny babies about the size of rabbits walked across my path. They were super cute!!! Saw this wacky car/golf-cart at the Salt Creek Restaurant. 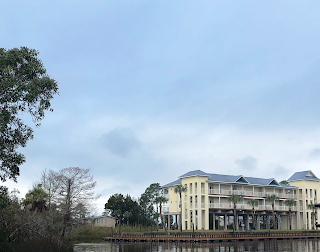 This cypress tree made a great photo. 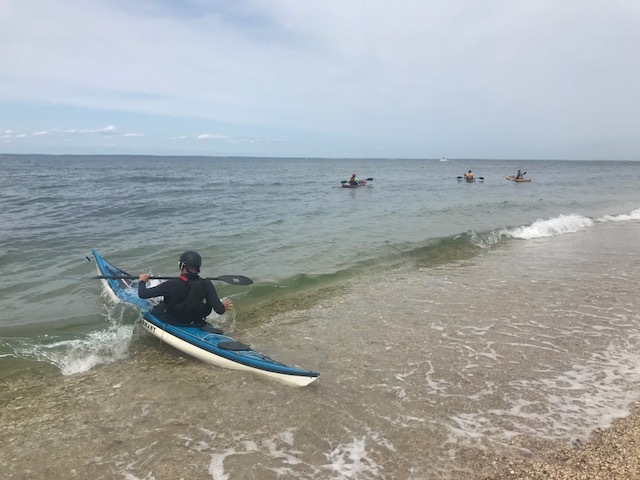 I was kayaking in the Tide Race off of Orient Point. We were staying nearby and got to paddle twice on the ebb, and once on the flood over 3 separate days. We took the opportunity to clean and harvest a bunch of our oysters since it was right down the road. There was no swell and the current runs fastest on the Ebb. The best place on the Ebb was just to the South and West of the light, while on the flood there was a cleaner better race on North and East of the lighthouse. This spot is not as big as the races in Fischers Island, but it was really nice to be so close to shore for launching. 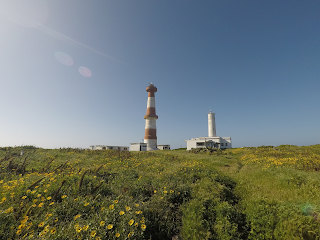 Also the lighthouse was a great place to rest! On the Ebb I was able to get out of my boat in the little cove that is part of the lighthouse and stretch my legs. 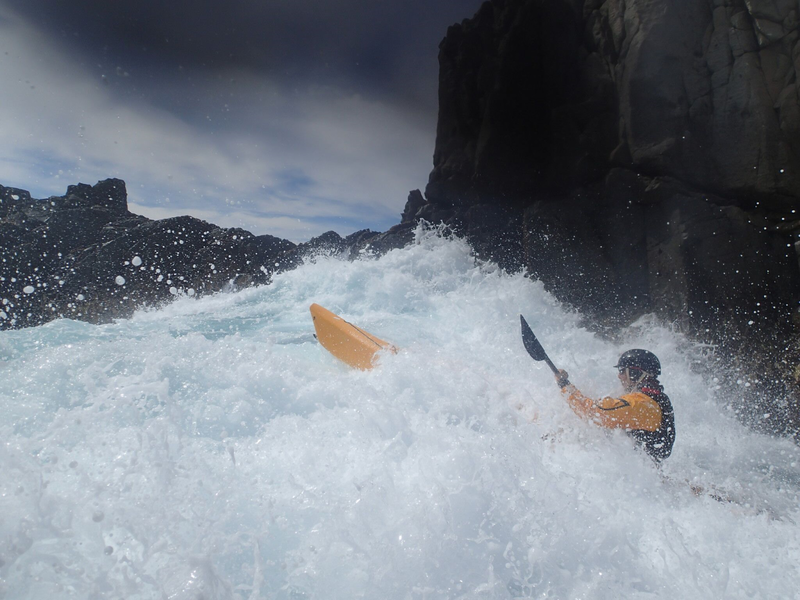 My arm and back felt ok both during and after paddling, but my knee was bruised and very sore the next day from gripping the boat, but it quickly went away. Truth: Its better to sleep in comfort. 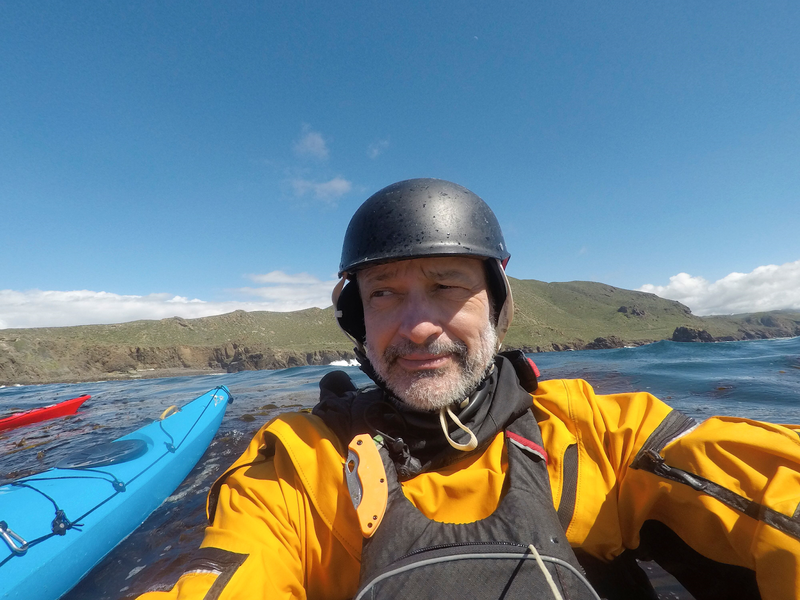 I was kayaking in Baja Mexico around the town of La Bufadora with a trip organized by Pinniped Kayak. 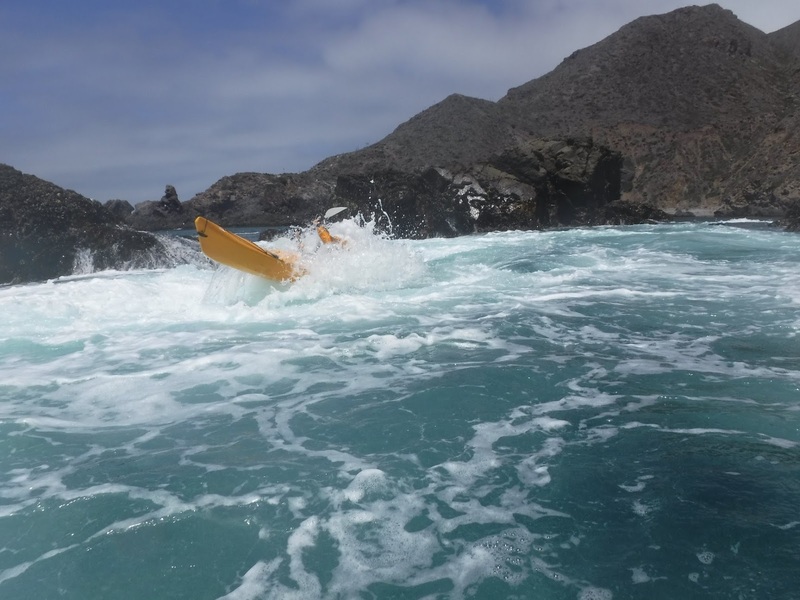 The trip was run/managed by Jen Kleck who runs the Baja Kayak Fest in the same location each year. We drove down from San Diego and had great Tacos and saw great scenery. We did a lot of rock garden paddling right around the little town, and also an overnight trip to a small lighthouse off the coast. The rock garden paddling was very unique and we quickly learned the intensity of the Pacific swell was so much bigger and more powerful than what we were used to paddling around Rhode Island and Maine here on the East Coast. All the time we were there things were small to small-medium, but it was more than large enough for me! Fresh Sea Urchin with our lunch. I saw plastic boats get massive dents and holes, paddles break, and at one point an entire 15 foot kayak get pulled underwater VERTICALLY in a hole right next to a big rock that was clearly over 15 foot deep. Really impressive stuff. 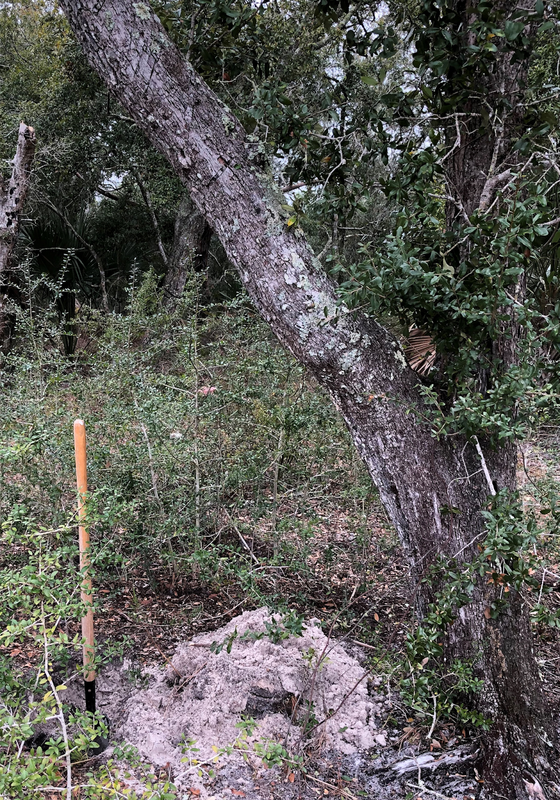 These three photos illustrate the difference that timing plays, this is the exact same spot just a few minutes apart, its critical to pick the right time to go through something like this. You want some water, but not too much! One thing we were quickly taught was NOT to surf through these slots and pour overs. Instead the goal was to pick a small to medium wave that had enough water, and try to stay on the back of it. Here is a picture of me going through a slot that has a hole on the other end. I made it all the way through, did this cool brace then capsized, and eventually rolled-up with a little help. I capsized a number of times always at end of the feature. I would make it all the way through, be super proud of myself, then fall over! There is a lot of aquaculture down here. This funny shipname is working on fattening pens for Bluefin Tuna. 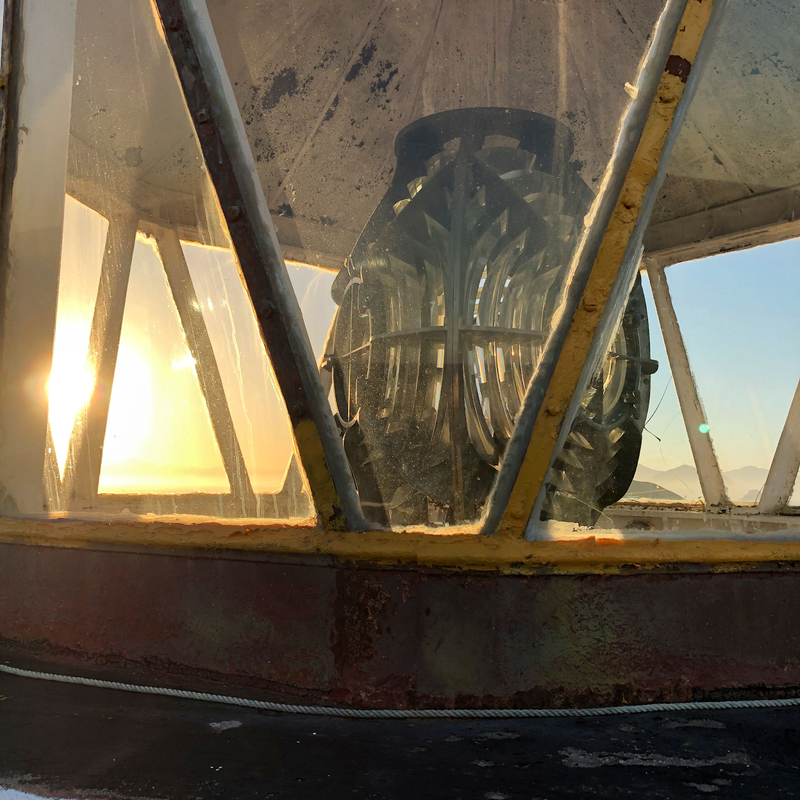 This lighthouse is about to be decommissioned, but it was really cool to be able to visit it. Mario who FOUND the bottle sent along the following picture showing the bottle and highlighting the spot on the shore where he found it. Dunno how he got down there in the rocks! 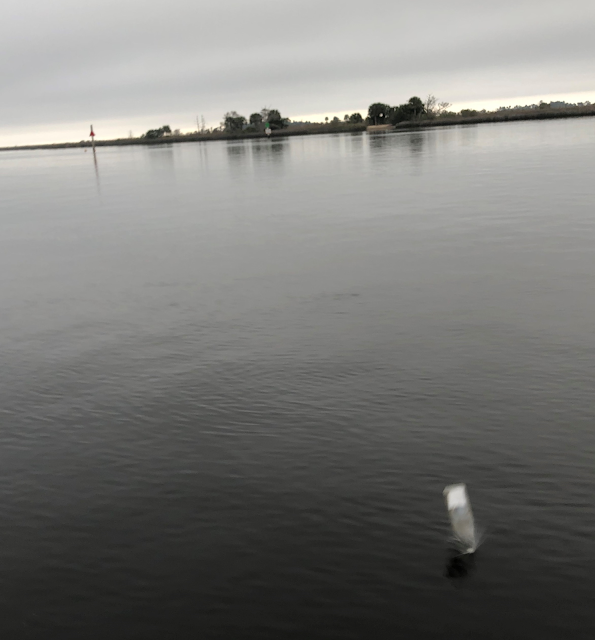 I love being out on the water, so I decided to start releasing messages in bottles. I release one when I can, usually when kayaking or diving. I recycle bottles that I find as litter on the beach. I usually put a dollar in the bottle to attract attention, in the hopes that someone will pick it up. I am fascinated by beachcoming. I have found some pretty cool stuff over the years. The more I look through trash on the beach I have started picking-up more and more. Not just the good stuff, but just regular trash. The amount of trash humans have put in the ocean is really frightening. See the article in links section below. I started adding the "Truth" section after getting comments from people that my blog was too boring. One person suggested poetry, but I went with a suggestion from another friend that I add an "irrefutable truth". I have tried to do that. Sometimes it's stupid, sometimes profound, sometimes personal, sometimes just something that pops into my head.